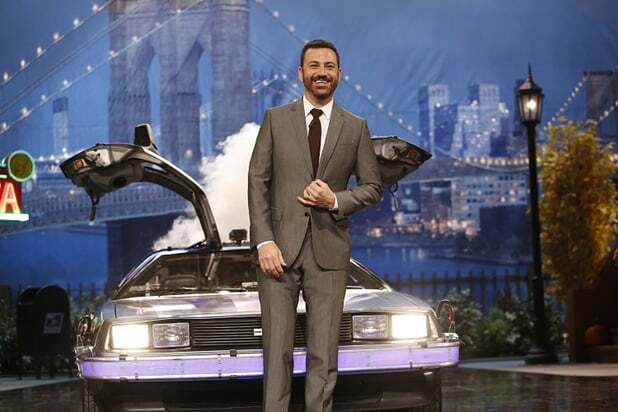 Jimmy Kimmel got a surprise visit from a couple of time travelers on his ABC late-night talk show Wednesday. 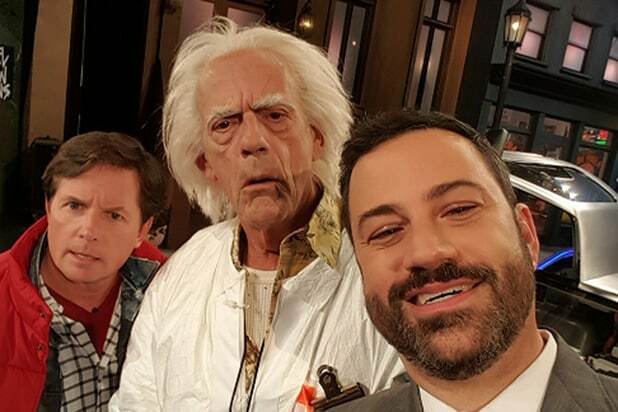 In photos from the episode, Kimmel stands before the famous time traveling Delorean and poses for a selfie with his perplexed guests. 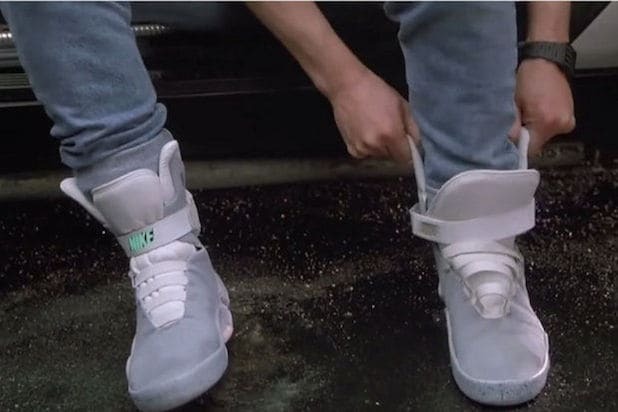 “Jimmy Kimmel Live!” airs weeknights at 11:35 p.m. on ABC.